Need Auto, Renters or Home Insurance? Looking for Pennsylvania insurance? EK Insurance makes it easy to get a PA insurance quote for your auto, home, business, motorcyle, boat, ATV, jewelry, valuables & more. When shopping for Pennsylvania insurance for your autos, home, business, belongings and life, it's important to understand the risks you and your family face and discuss them with your agent. 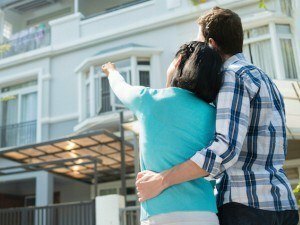 It is your agent's job to find and present you with quotes that fit your lifestyle and budget. In the end, it's you who has to make the final decision on the type of Pennsylvania insurance that will best meet your needs. While you might only be looking for home or car insurance, it's important to understand what other types of Pennsylvania insurance coverages are available. This way, at least you will be aware of the coverages that might be helpful in protecting your income and assets. Property Insurance: Property insurance covers Pennsylvania owned property against theft, damage and/or destruction caused by a covered peril. Your home and its contents are most common. Casualty Insurance: Casualty insurance covers the liability from the losses caused by injuries to persons and damage to property of others. Auto insurance and Pennsylvania commercial general liability insurance are good examples. Life Insurance: Life insurance offers income protection for someone who passed away. It can help pay final expenses and funeral costs and an use the money to help cover essential expenses, such as paying off a mortgage or college educations for children. It can also help continue a PA business. A PA life insurance policy is a contract with an insurance company. In exchange for your premium payments, the insurance company provides a one time payment, known as a death benefit, to beneficiaries upon the insured's death. 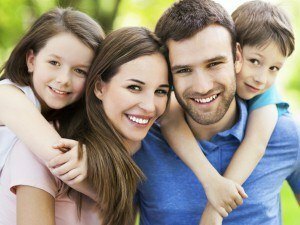 Term Life Insurance - Term life insurance is designed to provide financial protection for a specific period of time, such as 10 or 20 years. With most term insurance polices, the premium payment amount does not increase for coverage period you select. Terms is likened to renting - you have it only as long as you pay and it is gone when you stop. 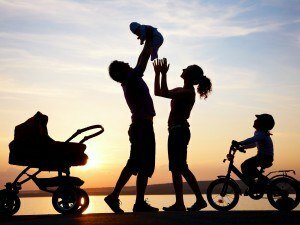 Whole Life Insurance - Whole life insurance is a type of permanent life insurance that offers lifetime coverage - not just for a period of time. Policy premium payments are typically fixed for the life of the policy. Whole life can accumulate a cash value, which may accumulate tax-deferred over time. Whole life is compared to owning - you build up equity over time. Universal Life Insurance - Universal life insurance is a type of permanent life insurance also designed to provide lifetime coverage. Different from whole life, universal life policies are flexible and may allow you to increase or decrease your premium payments or coverage levels throughout your lifetime. If you cause an auto accident that injures someone or damages their property, Pennsylvania car insurance can help pay for the other person's losses and/or damages. If you were found at fault, you can be held responsible for costs associated with the accident. These may include; legal fees, the hurt person's medical expenses or their lost income compensation. Without liability coverage (or adequate liability limits), you would likely have to pay these costs out of your own pocket. Comprehensive - Covers expenses to your vehicle for non accident damage like vandalism, thefts or a tree falling on your car. Collision - Covers expenses for the damage or destruction of your vehicle in an auto accident. Liability - Covers expenses for injury or death to a third party when you're at fault. Property - Covers the cost of damages you cause, unintentionally, to someone else's property (car etc..). Medical Payments - Covers medical expenses if you or your passengers are hurt. 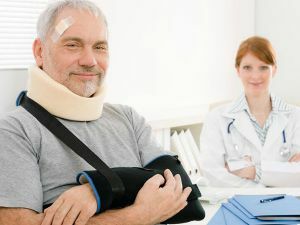 Personal Injury Protection - Covers expenses related to injuries you sustained in a covered accident. Uninsured & Underinsured Motorist Coverage - Covers your expenses if you are hurt and the other driver is at fault and doesn't have enough or any liability insurance. Rental Reimbursement - Covers the cost of renting a car while your vehicle's in the shop. Towing & Labor - Covers the cost of roadside assistance like towing, tire changes and jump-starts. Homeowners insurance offers coverages that may help pay to repair or replace your home or belongings if they are damaged by certain perils, like fire, hail or theft. It can also help cover costs if someone who does not live with you is injured at your home. Dwelling - The most basic coverage is dwelling protection, which helps cover the physical structure of the home and also other structures that are attached - like a garage or a deck. Other Structures - Most homeowners insurance policies include coverage for other structures that are on your property but not attached to your home, like a detached garage, shed or fence. Pennsylvania Property - This is coverage for the Pennsylvania belongings you keep within your home. Liability - Most homeowner's policies offer liability coverage for when someone not living with you is injured while on your property. Suppose a visitor slips on your walkway, or your dog bites the postman. This coverage helps to pay for your resulting legal expenses and associated medical bills if you are found at fault. 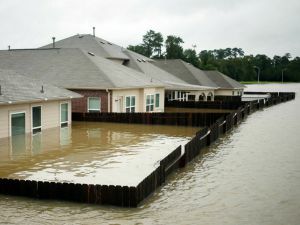 Flood insurance covers physical damage to your property and belongings from flood-related losses. Homeowners insurance typically doesn't cover flooding - where groundwater rises up and floods your home. If you're in an area that has a high flood risk, you should have flood insurance. Your mortgage lender might require you to buy it if you're in a flood zone. The National Flood Insurance Program (NFIP) recommends flood insurance because situations that cause flooding like; heavy rain, melting snow and severe coastal weather can happen all over. Flood insurance covers your home and your possessions inside, subject to certain limits. Renters insurance is an affordable way to cover your belongings and protect yourself from if someone not living with you is injured while in your apartment. Pennsylvania Property - Things like your computers, electronics, furniture, clothing, bikes, etc. Liability - If someone slips and falls in your place, you can be covered the resulting legal expenses and associated medical bills if you are found at fault. Medical Payments - Your policy can include medical payments coverage that pays for medical expenses of people who don't live with you, but who are injured on your property. Condominium insurance insures your Pennsylvania property and any parts of your unit that aren't covered by your HOA's insurance policy. Your condo association could have one of three types of policies: one that insures only the primary building and common areas; one that insures your building and any items in your unit other than Pennsylvania property or one that insures the building, your unit, and any fixtures or improvements you make to your unit. Your Pennsylvania property - from loss due to theft, fire, and certain forms of weather damage. Liability - from claims resulting from accidental injuries to others who don't live with you. Appliances, fixtures, and interior alterations and improvements you've made. Property you are responsible for under your condo association agreement, along with other structures like a garage or shed. 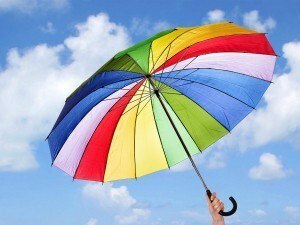 Pennsylvania umbrella insurance helps protect you from large liability claims and judgments. Umbrella provides excess liability coverage above the limits of your homeowners, auto, and boat insurance policies. It kicks in when the liability on these other policies has been exhausted. Common claims covered are bodily injury, property damage, and it can also provide coverage for claims that may be excluded by other liability policies including: false arrest, libel, slander, and liability coverage on rental units you own. Disability insurance offers coverage that can help pay your rent, loans, mortgage, and other expenses. Many people are surprised to learn that social security disability benefits are not available if you are expected to be out of work for less than a year. If you are totally disabled due to sickness or injury & are unable to work, it can also help you from dipping into your retirement plan or education savings. While most people think that disabilities are caused by accidents, the majority of disability claims are due to an illness. 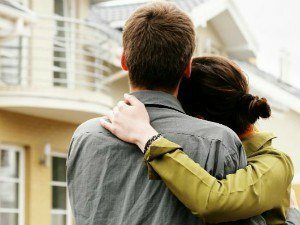 Experts agree that when insurance budgets are tight, it usually makes sense to buy enough disability insurance to cover mortgage or rent payments so you can remain in your home. Long-term care insurance is coverage to help pay for the medical and other care of people with chronic illnesses, disabilities or other conditions that need care daily, for an extended period of time. The type of help needed can range from assistance with simple activities, referred to as activities of daily living (ADLs), like as bathing, dressing and eating, to skilled care that's provided by nurses, doctors, therapists or other professionals. 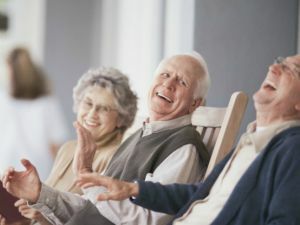 There are many policy options to choose from and PA long-term care insurance can help you pay for the care you need, whether you are living at home or in an assisted living facility or nursing home. 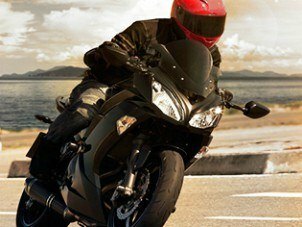 There are different types of motorcycle insurance coverage options based on your needs, including collision, comprehensive, and bodily injury, along with replacement cost, rental reimbursement, roadside assistance, optional & special equipment coverage, and others. There is also protection for different types of bikes from manufacturers such as Harley-Davidson, Honda, Indian, and more, and including models such as Cruisers, Touring, Dirt and Sport Bikes. On some policies you can add coverage for most of the personal property you carry on your bike if it's damaged or stolen. This includes camping gear, clothing and even your cell phone. Snowmobiling is fun but risky winter sport. The speed of the machine, multi-use trails and sometimes compromised visibility can cause issues. Additionally, snow on the ground can make it hard to see hazards such as rocks, wire fences, stumps and open water. 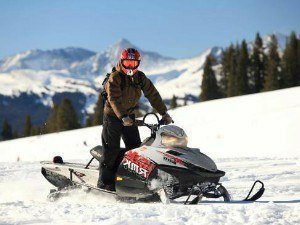 Snowmobile insurance covers; bodily injury to someone else or property damage that you accidentally caused, your injuries due to an accident with an uninsured snowmobiler and damage to your own snowmobile caused by an accident. It also covers fire, vandalism, and other losses even while your snowmobile is in storage. 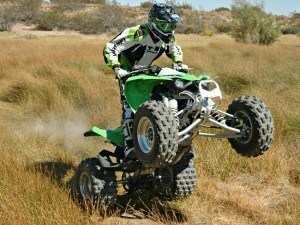 ATV insurance works like auto insurance in some ways. Because riding ATVs can be risky for the riders, passengers and others - ATV insurance is designed to help cover the costs associated with an accident or theft. This coverage recover financially so that the cost of repairs, injuries and even lawsuits ae covered by the insurance company. Many states require ATV insurance for vehicles operated on land owned by the State. Your homeowners policy might not cover your ATV if you ride it off your own property. 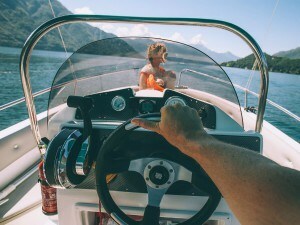 Boat insurance helps protect you against the risks of owning an operating a watercraft, its motor and trailer. Also PA boat insurance also offers liability protection for lawsuits and medical payments. Common watercraft covered are; Sport Boats, Cruisers, Yachts, Sailboats, Bass Boats, Jet Skis, Houseboats, Kayaks & Canoes. Physical Damage - Insures your boat against damage and loss caused by common risks, such as sinking, fire, storms, theft, and collision. Liability - Offers coverage if your boat causes injury to others or damage to other boats, docks, or structures. Injury or damage can be due to direct contact or issues caused by your vessel, such as large wakes. Most homeowners policies can limit coverage or coverage amounts based on the type of item and cause of loss. 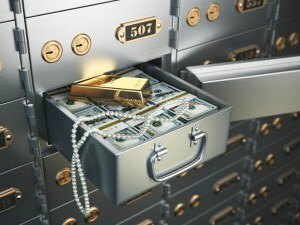 Valuable items coverage can provide more for your valuable possessions in the event of covered loss from, for example, theft or fire. Whether you are looking to purchase Pennsylvania insurance or simply trying to understand the insurance you currently have, the PA Insurance Department can provide guidance and help you make the right decision for your situation. Insurance can be one of the most important purchases you make to protect yourself and your family against financial hardship. Since your needs and financial situation change over time, it's important to understand and review your insurance policies on a regular basis - to decide if the same policies are still right for you. Read more at the Pennsylvania Insurance Department. Request a Pennsylvania Insurance quote by city in Allentown, Allison Park, Altoona, Baldwin, Bensalem, Bethel Park, Bethlehem, Bloomsburg, Carlisle, Chambersburg, Chester, Drexel Hill, Easton, Erie, Fullerton, Greensburg, Hanover, Harrisburg, Hazleton, Hermitage, Hershey, Horsham, Indiana, Johnstown, King of Prussia, Lancaster, Lansdale, Lebanon, Levittown, McKeesport, Monroeville, Murrysville, New Castle, Norristown, Philadelphia, Phoenixville, Pittsburgh, Pottstown, Pottsville, Reading, Scranton, State College, Upper Darby, West Chester, West Mifflin, Wilkes-Barre, Wilkinsburg, Williamsport, Willow Grove, York and all other cities in PA. There are some regulations when it comes to Pennsylvania insurance that you should be aware of. We will be looking closely at both personal and commercial insurance within PA to find out what the regulations and limits are, so that whether you own a business or simply drive a car, you are able to get the insurance that is required by law. Understanding what the law requires the first step to making sure that you are compliant. Let's take a close look at these types of insurance. First, let's discuss business insurance. There are lots of different types of business insurance that you can get, but the most common one out there is what is called commercial liability or general liability insurance. This type of insurance protects you in case you are sued by someone who comes on your property and is injured or has their property damaged by something that happens on your premises. This may be something as simple as slipping on a wet floor or it might be a parking lot mishap the damages the vehicles there. However, this is not a mandatory type of insurance required by Pennsylvania law. There are two types of insurance that are required in Pennsylvania however. These are pretty standard across most states. The first is Worker's Compensation insurance which is sort of like health insurance for anyone who is injured on the job. In addition, Pennsylvania requires that commercial vehicles that are actively being used in a business carry commercial auto insurance. You also need to know what the regulations are for personal insurance. 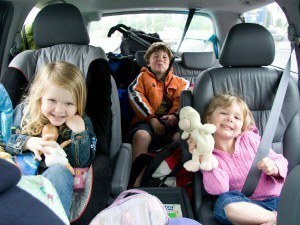 The first type of insurance we will cover is auto insurance. In Pennsylvania, you are required to carry liability insurance for bodily injury of $15,000 per person and $30,000 per accident. In addition, property damage liability coverage is required at an amount of $5000. You are also required to carry uninsured motorist coverage at $15,000 per person and $30,000 per accident as well as underinsurance motorist coverage at $15,000 per person and $30,000 per accident. Finally, Pennsylvania requires first party benefits medical payments coverage of $5000. This is a great deal more than is required in most states. There also some life insurance regulations that you will find under Title 40 of the state statutes. A free look period of 10 days is required for life insurance, there is a grace period on payments of 30 days and there is a guaranteed benefits and cash value law as well. If you are looking for state specific insurance quotes, costs and information: California Insurance, Colorado Insurance, Delaware Insurance, Florida Insurance Illinois Insurance, Kentucky Insurance, New Jersey Insurance, New York Insurance, Oregon Insurance, Pennsylvania Insurance, Texas Insurance, Washington Insurance. Want A Personal Insurance Quote? Contact EK Insurance to discuss how much personal insurance costs.